Barnet 2 Morecambe 0, 16/12/2017. The Hive, League Two. 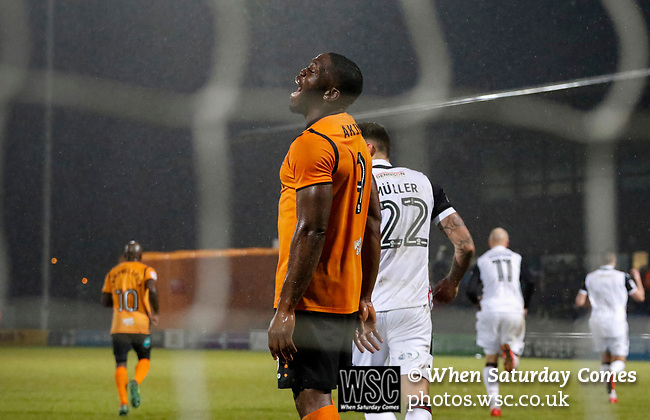 Barnet's John Akinde shouts in frustration after missing a penalty. Photo by Paul Thompson.